Entrepreneurs solve problems, right? They design solutions for problems they see around them. They see opportunities to fill gaps in the marketplace with new, better, or different solutions. This is well-accepted as a core mindset of entrepreneurs, and this dedication to bring innovative solutions to market is what many believe allow entrepreneurs the success they have. This approach might work for some, but it is a mindset that can be detrimental for social entrepreneurs. Social Entrepreneurs Need To Fall In Love With The Problem, Not The Solution. Social entrepreneurs need to be Problem Breakers, not problem solvers. Contrary to popular belief, creating big impact in the world is not about solving something. To solve something is defined as “to find the answer or explanation for; clear up; explain”. To solve something is like fixing it with a bandaid. You can ‘solve’ the problem of a scraped knee with a bandaid, but it doesn’t take away the fact that the knee is hurting underneath. But we don’t need to explain or fix problems, we need to break them from the inside out and eliminate them altogether! On the other hand, to ‘break’ something means “to destroy or interrupt the regularity, uniformity, continuity, or arrangement of; interrupt”, “to put an end to; overcome; stop”, or “to discover the system, key, method, etc., for decoding or deciphering”. It’s about interrupting the problem. In our scraped knee example, breaking the problem would be looking at how to make bike riding safer so the fall doesn’t happen in the first place. Being a social entrepreneur is about designing an innovation to create a new status quo that improves the lives of those involved. It’s about understanding and deconstructing the context that has created the problem in the first place, so the system can be adapted and improved, fully eliminating the problem from the inside out. What is a solution anyways? It’s really just a means to an end. In fact, several different solutions can achieve the same end. And some solutions will achieve that end faster, or with more effectiveness than others, depending on the context and the needs of those impacted by the problem. There are so many solutions, but the most effective one entirely depends on the context of the person trying to get to the airport. Do they have a car? How far from the airport do they live? How long would their car be parked at the airport? Is it cheaper to cab or park for that amount of time? big vision for change you have in sight. If you’re an Uber driver, Uber is the obvious solution to get someone to the airport. But, if the person who needs to get to the airport lives in a city where regulations prevent Uber from operating, good luck catching the flight on time with that plan! The drill bit is the solution dreamt up by an innovative entrepreneur, but the reason for creating it is all about transforming a solid block of wood (old status quo) into a block of wood with a perfectly sized hole so a coat hook can be added (new and improved status quo). Communities served by WaterHealth don’t need a new water purification plant, they need clean drinking water. D.Light customers don’t need a solar light, they need to extend their work and study hours and keep their lungs healthy. 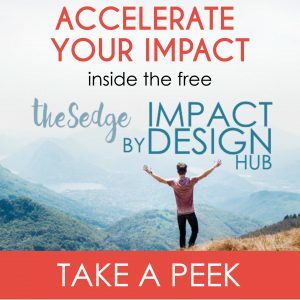 Social entrepreneurs who work with theSedge.org don’t need online programs full of tools and resources, they need to boost their social and environmental impact in a sustainable way. Why Does This Mindset Need To Be At The Centre of Your Work as a Social Entrepreneur? 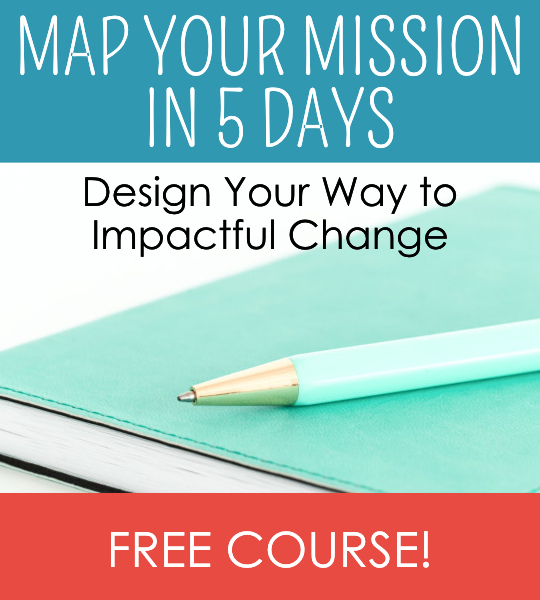 Because deeply understanding the problems you’re working on is the only way to truly address the root cause, create lasting change, and ensure financial sustainability. The goal is to truly create social change by serving your beneficiaries and customers in the way that works best for them. The solution can shift and evolve if that’s what the problem needs. You can start with hunches about what this “best way” is, but as soon as you start taking action in the real world, new information can change everything! Once you understand the problem more clearly and learn about it at a deep level, new solutions can emerge. And this could include ideas you might not have even thought of if you hadn’t approached your challenge with a Problem Breaker Mindset. It’s a continuous process. Even when you fall in love with the problem, and start implementing your solutions, make sure to always check and balance back to the problem as you go along. This way you can be sure you’re moving the right direction towards solving it. Sometimes in this process of checking back in with the problem as you go, it could mean changing what you’re doing. Stay true to your vision for change but stay flexible in how you achieve it. It’s easier said than done, but taking these steps will ensure you better address the root cause of the problem, thus making impactful, sustainable improvements. 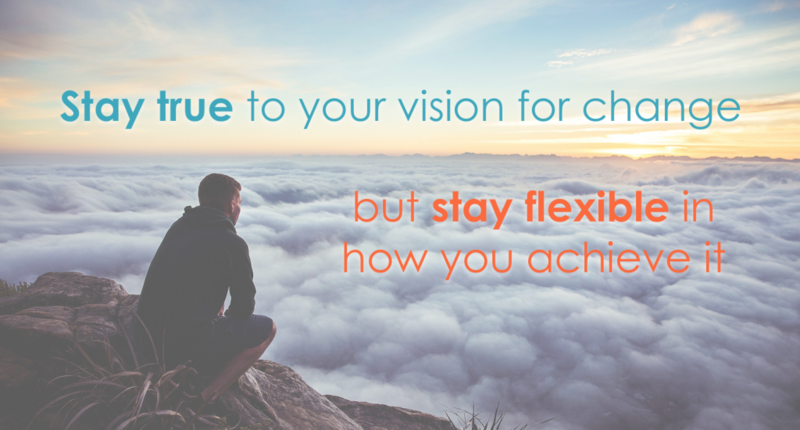 Being a Problem Breaker keeps you focused on achieving your long-term vision for change. How Does Being a Problem Breaker = Financial Sustainability? Serving your beneficiaries and customers in such a deep way will mean your solution is one that has been custom built for a unique and challenging issue. This means people will be knocking down your door to work with you, ultimately helping you achieve lasting financial sustainability. Instead of guessing what will excite your customers, by adopting the mindset of a Problem Breaker, you will continually be walking shoulder to shoulder with your customer. You will have the ability to feel what they feel, think what they’re thinking – and this is how you can best serve them. The problems of your customers and beneficiaries will evolve. If you don’t keep a tap on what they’re experiencing, you’ll miss the opportunity to continue adapting your solution to meet their needs. As soon as your solution is no longer the best fit solution for your clients or beneficiaries, you lose them. They move to the better solution, you lose customers, you lose revenue, you slowly but surely lose financial sustainability. So, if you want to truly make an impact and build financial sustainability into your social enterprise, remember to fall in love with the problem, not the solution, and be a Problem Breaker! Have you fallen in love with the problem? Share in the comments below how this mindset has helped you succeed in creating the impact you seek!